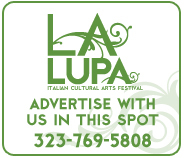 La Lupa Italian Cultural Arts Festival is pursuing its non-profit status as an arts festival dedicated to exposing diverse audiences to Italian and Italian-American art, culture and heritage. Individual gifts and sponsor funding serve to underwrite the operating expenses of LA LUPA FEST, including but not limited to: artists' expenses and associated fees such as: venue fees, travel expenses, programs, lighting, costumes, props, children workshop fees, rental of staging and sound equipment. 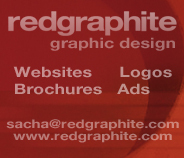 All sponsors are gratefully acknowledged. © 2010 La Lupa Italian Cultural Arts Festival - All rights reserved.